Sumitomo Electric Industries announces that it has completed the connection of a high-voltage direct current (HVDC) interconnector cable system between the United Kingdom and Belgium after the high voltage test. An inauguration ceremony was held at the Belgium substation site on December 5, 2018. This system, which is scheduled to be in commercial operation in the first quarter of 2019, will transmit the world’s highest voltage of 400 kV with crosslinked polyethylene (XLPE)[i] insulated DC cable. J-Power Systems Corporation (JPS), a subsidiary of Sumitomo Electric, signed a contract in 2015 for design, manufacturing and construction of HVDC interconnector cable system between UK and Belgium with Nemo Link Limited, a joint venture between Elia (Belgian TSO) and National Grid (UK), to exchange electricity up to 1,000 MW between the UK and Belgium. Nemo Link connects the two countries’ power grids over a total length of 141.5 km with a combination of 130 km HVDC submarine and 11.5 km land cables manufactured and installed by Sumitomo Electric and JPS. 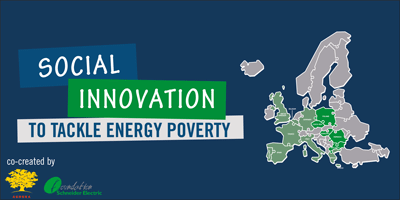 This new interconnection increases security of power supply for both countries, allowing the import and export of electricity, as well as supporting the integration of renewable energy in the grid. Sumitomo Electric and JPS’s responsibility under the contract is a full Engineering, Procurement, Construction and Installation (EPCI) including design, manufacturing installation, and commissioning of the state-of-the-art HVDC XLPE insulated cable system. Once the interconnector goes into full commercial operation in the first quarter of 2019, Nemo Link will become the highest voltage HVDC XLPE cable system in the world at 400 kV which is currently limited to 320 kV. With this milestone in the cable industry, Sumitomo Electric underlined its technology leadership in the market. The cable system also features a high allowable operating temperature, which allows Nemo Link to have extra safety margin during cable operation, especially in cases where an unforeseeable situation creates excess current flows in the cable system or excess cable burial depth occurs due to sand wave mobility on the seabed. In addition, the XLPE cable is environment friendly, requiring no oil or other insulation materials whereas conventional cable insulation does. Belgian and UK dignitaries, members of the European Commission, local authorities, senior Management of National Grid & Elia as well as project partners visited the Belgian project site for the official opening ceremony of Nemo Link on December 5. “Nemo Link is the first European interconnector project which the Sumitomo Electric Group has contracted. 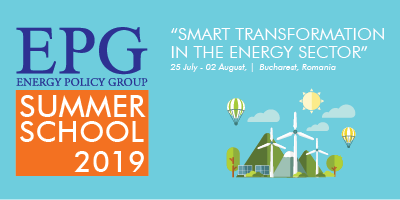 We recognize the significant importance of such interconnectors as key infrastructure to improve energy security within Europe and also for integration of renewables into the grid system. After overcoming many difficulties during the project execution, today, we are proud to announce that we have successfully connected the system by following our key business principles, safety, quality and in time delivery,” Osamu Inoue, President & COO of Sumitomo Electric said. “Sumitomo Electric has given top managerial priority to ‘safety’ throughout its more than 120 years history of operation and has taken serious and continuous measures to eliminate occupational accidents such as promotion of danger-prediction activities and equipment safety measures as well as development of the safety and health education system. Based upon such robust safety culture within Sumitomo Electric Group, we were honored to be awarded by Nemo Link in December 2017 for outstanding safety performance along with one million hours no Lost Time Injury during the project execution,” he added. “I sincerely appreciate the support from all stakeholders of the project, especially National Grid and Elia, to make this happen. We will continue our effort to further contribute to the security of electricity supply in the world with our state-of-the-art HVDC cable technologies,” Masaki Shirayama, Chief Director of Electric Wire & Cable Energy Business Unit of Sumitomo Electric mentioned. 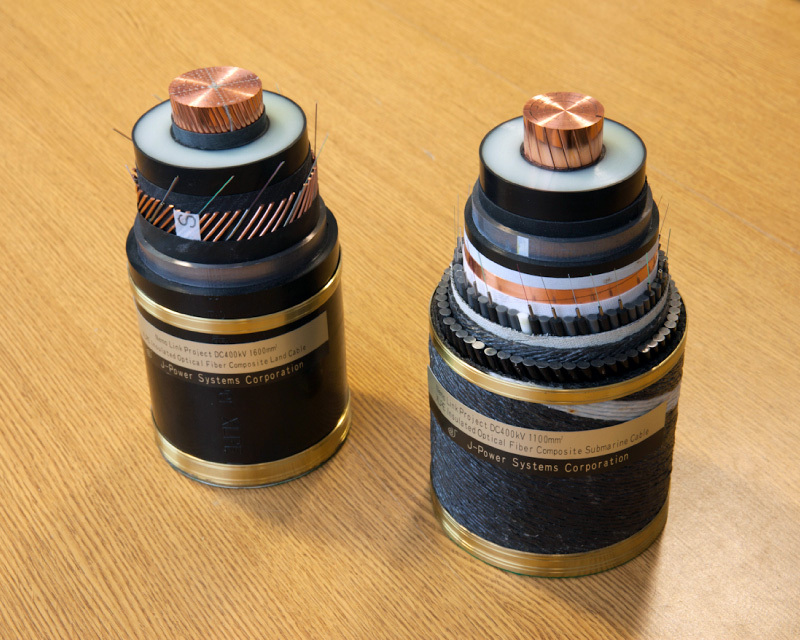 Sumitomo Electric and JPS developed a unique XLPE material suitable for HVDC application in the 1980s and completed long term tests up to the DC 500 kV level. These tests have also been performed for polarity reversal[ii] operation that is applicable to LCC converter systems at 90℃ or higher temperature heating cycles. JPS has supplied and installed a DC XLPE submarine cable system that utilizes the same XLPE technology to one of the most important interconnector systems in Japan. The system is currently in commercial operation. [i] Crosslinked Polyethylene (XLPE) is an abbreviation of crosslinked polyethylene. The needs for HVDC XLPE cable are increasing especially in Europe and North America, where a growing number of offshore wind farms and HVDC interconnection projects are under development. It has significant technical advantages compared to conventional cable technology. [ii] Polarity reversal: interchange between positive and negative voltages (polarity) applied to a cable depending on the operating conditions of an interconnected DC power line.